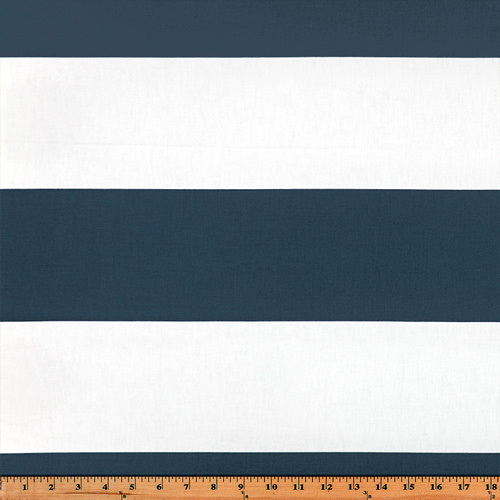 Dark blue and white striped home decorating fabric. Suitable for drapery, decorative pillow covers, headboards or other home decorating projects. Stripes run horizontally from selvage to selvage.